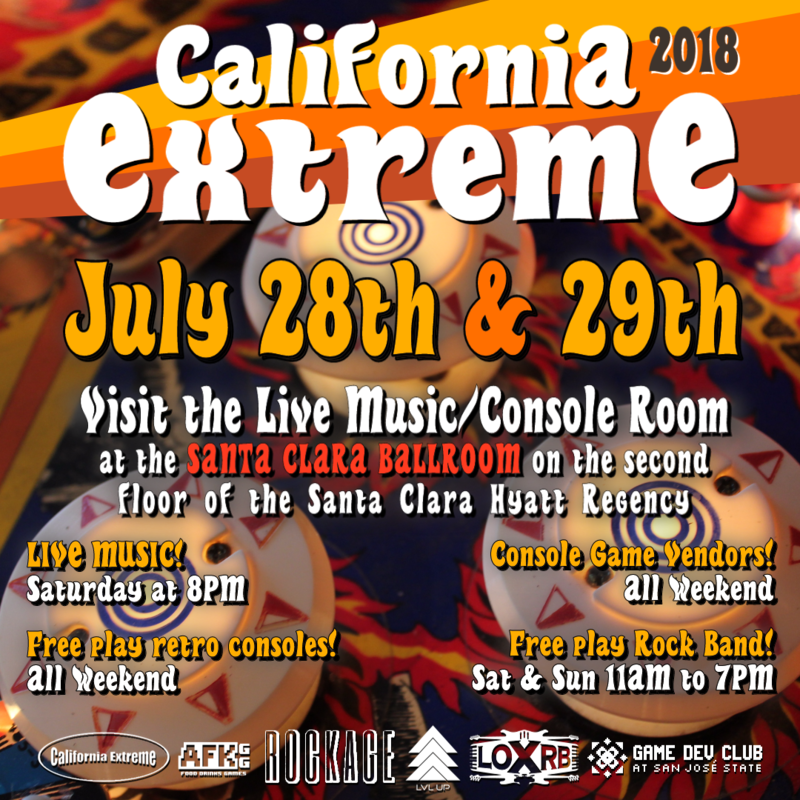 We have the latest information on the live music and video game consoles coming this year to California Extreme 2018! The console area will be in the Santa Clara Ballroom on the 2nd floor (take escalators in main lobby). The console room opens at 11AM and will have Rock Band free play from 11AM to 7PM on Saturday and Sunday. On Saturday night, this same room will host several great live bands for your listening pleasure!